Everywhere I look in my adventures of dietary reality checks, I find Gary Taubes. 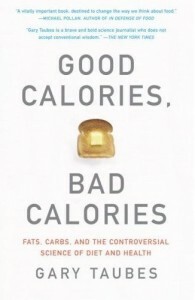 I thought I would add the epilogue to his book Good Calories, Bad Calories to give you an idea as to why. He gives a glimpse of the corruption in the medical science in a very considering way. In this sick society, I wouldn’t be as gentle as Taubes was though. The more important point, though, which Hill and Peters did not discuss, was why a century of research had not produced such an empirical test. Two immediate possibilities suggest themselves: Either the accumulated research and observations on weight regulation in humans or animals had never provided sufficient reason to believe that such a proposition should be true, which is a necessary condition for anyone to expend the effort to test it; or, perhaps, nobody cared to test it. In either case, we have to wonder whether the individuals involved in the pursuit of the cure and prevention of human obesity, as Robert Merton would have put it, have the desire to know that what they know is really so. The institutionalized vigilance, “this unending exchange of critical judgment,” is nowhere to be found in the study of nutrition, chronic disease, and obesity, and it hasn’t been for decades. For this reason, it is difficult to use the term “scientist” to describe those individuals who work in these disciplines, and, indeed, I have actively avoided doing so in this book. It’s simply debatable, at best, whether what these individuals have practiced for the past fifty years, and whether the culture they have created, as a result, can reasonably be described as science, as most working scientists or philosophers of science would typically characterize it. Though the reasons for this situation are understandable, they offer scant grounds for optimism. Individuals who pursue research in this confluence of nutrition, obesity, and chronic disease are typically motivated by the desire to conserve our health and prevent disease. This is an admirable goal, and it undeniably requires reliable knowledge to achieve, but it cannot be accomplished by allowing the goal to compromise the means, and this is what has happened. Practical considerations of what is too loosely defined as the “public health” have consistently been allowed to take precedence over the dispassionate, critical evaluation of evidence and the rigorous and meticulous experimentation that are required to establish reliable knowledge. The urge to simplify a complex scientific situation so that physicians can apply it and their patients and the public embrace it has taken precedence over the scientific obligation of presenting the evidence with relentless honesty. The result is an enormous enterprise dedicated in theory to determining the relationship between diet, obesity, and disease, while dedicated in practice to convincing everyone involved, and the lay public, most of all, that the answers are already known and always have been—an enterprise, in other words, that purports to be a science and yet functions like a religion. The essence of the conflict between science and nutrition is time. Once we decide that science is a better guide to a healthy diet than whatever our parents might have taught us (or our grandparents might have taught our parents), then the sooner we get reliable guidance the better off we are. The existence of uncertainty and competing hypotheses, however, does not change the fact that we all have to eat and we have to feed our children. So what do we do? There are two common responses to this question, as there will be to the arguments made in this book. One response is to take into account the uncertainties about the health effects of fats and carbohydrates and then suggest that we simply eat in moderation. This in turn implies eating a balanced diet in moderation. “Perhaps our most sensible public health recommendation should be moderation in all things, and moderation in that,” as the University of Michigan professor of public health Marshall Becker suggested back in 1987. But some of us do eat with admirable restraint of the four major food groups and yet are obese or overweight anyway, and presumably have an increased risk of other chronic diseases because of it; some of us are suitably lean, eat balanced diets in moderation, and exercise regularly and yet are insulin- resistant and maybe even diabetic. The more optimistic response is a compromise position: to take virtually every reasonable hypothesis from the past fifty years that can coexist with the saturated-fat/cholesterol hypothesis of heart disease and fold them all into one seemingly reasonable diet that might do us good and probably won’t do harm. Thus, the current conception of a healthy diet is one that minimizes salt content and maximizes fiber; has plenty of good fats (monounsaturated and omega-three polyunsaturated fats) and minimal bad fats (saturated fats and trans fats); has plenty of olive oil and fish, and little red meat, butter, lard, and dairy products. When meat is consumed, it’s lean, which keeps saturated-fat content down and reduces energy density and thus, supposedly, calories. Dairy is low-fat or no-fat. The diet has plenty of nuts and legumes and good carbohydrates, which are those with copious vitamins, minerals, antioxidants, and fiber (vegetables, fruits, and unrefined grains), but few bad carbohydrates, which are energy-dense and thus contribute to obesity (highly refined carbohydrates and sugars). It may be true that such a diet is uniquely healthy—but we have no idea if that’s really so. The diet has the advantage of being politically correct; it can be recommended without fear of ostracism from the medical community. Whether it is healthier, however, than, say, a meat diet of 70-80 percent fat calories and absent carbohydrates almost entirely, as Stefansson suggested in the 1920s, or any diet of animal products (meat, fish, fowl, eggs, and cheese) and green vegetables but absent entirely starches, sugar, and flour or even sugar alone, is still anybody’s guess. And whether such a diet would prevent us from fattening or reverse obesity, or do it better than a mostly meat diet, has also never been tested. If it doesn’t, then it’s probably not the healthiest diet, because excessive fat accumulation is certainly associated with increased risk of chronic disease. I have spent much of the last fifteen years reporting and writing about issues of public health, nutrition, and diet. I have spent five years on the research for and writing of this book alone. To a great extent, the conclusions I’ve reached are as much a product of the age we live in as they are my own skeptical inquiry. Just ten years ago, the research for this book would have taken the better part of a lifetime. It was only with the development of the Internet, of search engines and the comprehensive databases of the Library of Medicine, the Institute for Scientific Information, research libraries, and secondhand-book stores worldwide now accessible online that I was able, with reasonable facility, to locate and procure virtually any written source, whether published a century ago or last week, and to track down and contact clinical investigators and public-health officials, even those long retired. Throughout this research, I tried to follow the facts wherever they led. In writing the book, I have tried to let the science and the evidence speak for themselves. When I began my research, I had no idea that I would come to believe that obesity is not caused by eating too much, or that exercise is not a means of prevention. Nor did I believe that diseases such as cancer and Alzheimer’s could possibly be caused by the consumption of refined carbohydrates and sugars. I had no idea that I would find the quality of the research on nutrition, obesity, and chronic disease to be so inadequate; that so much of the conventional wisdom would be founded on so little substantial evidence; and that, once it was, the researchers and the public-health authorities who funded the research would no longer see any reason to challenge this conventional wisdom and so to test its validity. 1. Dietary fat, whether saturated or not, is not a cause of obesity, heart disease, or any other chronic disease of civilization. 2. The problem is the carbohydrates in the diet, their effect on insulin secretion, and thus the hormonal regulation of homeostasis—the entire harmonic ensemble of the human body. The more easily digestible and refined the carbohydrates, the greater the effect on our health, weight, and well-being. 3. Sugars—sucrose and high-fructose corn syrup specifically—are particularly harmful, probably because the combination of fructose and glucose simultaneously elevates insulin levels while overloading the liver with carbohydrates. 4. Through their direct effect on insulin and blood sugar, refined carbohydrates, starches, and sugars are the dietary cause of coronary heart disease and diabetes. They are the most likely dietary causes of cancer, Alzheimer’s disease, and the other chronic diseases of civilization. 5. Obesity is a disorder of excess fat accumulation, not overeating, and not sedentary behavior. 6. Consuming excess calories does not cause us to grow fatter, any more than it causes a child to grow taller. Expending more energy than we consume does not lead to long-term weight loss; it leads to hunger. 7. Fattening and obesity are caused by an imbalance—a disequilibrium—in the hormonal regulation of adipose tissue and fat metabolism. Fat synthesis and storage exceed the mobilization of fat from the adipose tissue and its subsequent oxidation. We become leaner when the hormonal regulation of the fat tissue reverses this balance. 8. Insulin is the primary regulator of fat storage. When insulin levels are elevated—either chronically or after a meal—we accumulate fat in our fat tissue. When insulin levels fall, we release fat from our fat tissue and use it for fuel. 9. By stimulating insulin secretion, carbohydrates make us fat and ultimately cause obesity. The fewer carbohydrates we consume, the leaner we will be. 10. By driving fat accumulation, carbohydrates also increase hunger and decrease the amount of energy we expend in metabolism and physical activity. In considering these conclusions, one must address the obvious question: can a diet mostly or entirely lacking in carbohydrates possibly be a healthy pattern of eating? For the past half century, our conceptions of the interaction between diet and chronic disease have inevitably focused on the fat content. Any deviation from some ideal low-fat or low-saturated-fat diet has been considered dangerous until long-term, randomized control trials might demonstrate otherwise. Because a diet restricted in carbohydrates is by definition relatively fat-rich, it has therefore been presumed to be unhealthy until proved otherwise. This is why the American Diabetes Association even recommends against the use of carbohydrate-restricted diets for the management of Type 2 diabetes. How do we know they’re safe for long-term consumption? The fat content of the diets to which we presumably evolved, however, will always remain questionable. If nothing else, whatever constituted the typical Paleolithic hunter-gatherer diet, the type and quantity of fat consumed assuredly changed with season, latitude, and the coming and going of ice ages. This is the problem with recommending that we consume oils in any quantity. Did we evolve to eat olive oil, for example, or linseed oil? And maybe a few thousand years is sufficient time to adapt to a new food but a few hundred is not. If so, then olive oil could conceivably be harmless or even beneficial when consumed in comparatively large quantities by the descendants of Mediterranean populations, who have been consuming it for millennia, but not to Scandinavians or Asians, for whom such an oil is new to the diet. This makes the science even more complicated than it already is, but these are serious considerations that should be taken into account when discussing a healthy diet. There is no such ambiguity, however, on the subject of carbohydrates. The most dramatic alterations in human diets in the past two million years, unequivocally, are (1) the transition from carbohydrate-poor to carbohydrate-rich diets that came with the invention of agriculture—the addition of grains and easily digestible starches to the diets of hunter-gatherers; (2) the increasing refinement of those carbohydrates over the past few hundred years; and (3) the dramatic increases in fructose consumption that came as the per-capita consumption of sugars—sucrose and now high-fructose corn syrup—increased from less than ten or twenty pounds a year in the mid-eighteenth century to the nearly 150 pounds it is today. Why would a diet that excludes these foods specifically be expected to do anything other than return us to “biological normality”? Whether a carbohydrate-restricted diet is deficient in essential vitamins and minerals is another issue. As we also discussed (see Chapter 19), animal products contain all the amino acids, minerals, and vitamins essential for health, with the only point of controversy being vitamin C. And the evidence suggests that the vitamin C content of meat products is more than sufficient for health, as long as the diet is indeed carbohydrate-restricted, with none of the refined and easily digestible carbohydrates and sugars that would raise blood sugar and insulin levels and so increase our need to obtain vitamin C from the diet. Moreover, though it may indeed be uniquely beneficial to live on meat and only meat, as Vilhjalmur Stefannson argued in the 1920s, carbohydrate-restricted diets, as they have been prescribed ever since, do not restrict leafy green vegetables (what nutritionists in the first half of the twentieth century called 5 percent vegetables) but only starchy vegetables (e.g., potatoes), refined grains and sugars, and thus only those foods that are virtually without any essential nutrients unless they’re added back in the processing and so fortified, as is the case with white bread. A calorie-restricted diet that cuts all calories by a third, as John Yudkin noted, will also cut essential nutrients by a third. A diet that prohibits sugar, flour, potatoes, and beer, but allows eating to satiety meat, cheese, eggs, and green vegetables will still include the essential nutrients, whether or not it leads to a decrease in calories consumed. My hope is that this book will change our views of the nature of a healthy diet, as the research for it changed my own; that future discussions of the nature of a healthy diet will begin with the quantity and quality of the carbohydrates contained, rather than the fat. As a challenge to the conventional wisdom on diet, obesity, and chronic disease, however, it presents a dilemma to public-health authorities; to nutritionists and physicians who believe that the advice they have been giving for the past few decades has been correct and based in sound science; and to all of us who simply want to eat healthy but have trouble accepting that everything we have come to believe could be as misguided as I have portrayed it. The resolution to this dilemma is to test the carbohydrate hypothesis rigorously, just as the fat-cholesterol hypothesis of heart disease should have been tested forty years ago. In the past decade, the National Institutes of Health finally began funding randomized-control trials of carbohydrate-restricted diets, as has the Dr. Robert C. Atkins Foundation, but these trials have been designed to test only the hypothesis that such diets can be used safely and effectively as a means to lose weight. The subjects are overweight and obese, and the studies compare weight loss and heart-disease risk factors with the results of low-fat or calorie-restricted diets. These trials are neither planned nor interpreted as tests of the hypothesis that it is the carbohydrates in the diet—”the sugar and starchy elements of food,” as The Lancet phrased it 140 years ago—that cause fattening and obesity to begin with. Rather, the underlying assumption here, too, is that weight loss is caused inevitably by negative caloric balance— consuming fewer calories then we expend—and the investigators perceive these trials as testing whether carbohydrate restriction allows us to do so with more or less facility than semi-starvation diets that reduce calories directly or reduce fat calories specifically. A direct test of the carbohydrate hypothesis asks the opposite question: not whether the absence of refined and easily digestible carbohydrates and sugars causes weight loss and is safe, but whether the presence of these carbohydrates causes weight gain and chronic disease. Such a trial would ideally be done with lean, healthy individuals, or with a spectrum of subjects from lean through obese, including those with metabolic syndrome and Type 2 diabetes. They would be randomized into two groups, one of which would consume the sugary and starchy elements of food and one of which would not, and then we would see what happens. We might randomly assign a few thousand individuals to eat the typical American diet of today—including its 140-50 pounds of sugar and high-fructose corn syrup a year, nearly 200 pounds of flour and grain, 130-plus pounds of potatoes, and 27 pounds of corn—and we could assign an equal number to eat a diet of mostly animal products (meat, fish, fowl, eggs, cheese) and leafy green vegetables. Since the latter diet would be relatively high in fat and saturated fat and calorically dense, the conventional wisdom is that it would cause heart disease and, perhaps, obesity and diabetes. So this would test the dietary-fat/cholesterol hypothesis of heart disease, as well as the carbohydrate hypothesis. Such a trial would not be ideal, because many dietary variables would differ between the two groups—calories and fats among them. The subjects would also know what diet they’re consuming, and so the study would not be done blindly (although, ideally, the physicians who treated the subjects and the investigators themselves would be unaware). Nonetheless, it would be a good starting point. Would those eating the carbohydrate-rich diet be more likely to become glucose-intolerant, hyperinsulinemic, and insulin-resistant? Would they be fatter and have a greater incidence of obesity, metabolic syndrome, and Type 2 diabetes? Would they have more heart disease and cancer? Would they die prematurely or live longer? These are the questions we need to answer. Another question that needs to be addressed urgently regards the health effects of sugar and high-fructose corn syrup alone. Since the 1980s, as we discussed (see Chapter 12), sugar and high-fructose corn syrup have been exonerated as causes of chronic disease on the basis that the evidence was ambiguous. Since then, virtually no studies have been funded; there have been no attempts to clarify the picture. Today I can imagine no research more important to the public health than rigorous, controlled trials of the long-term health effects of sugar and high-fructose corn syrup. The NIH is currently spending $200 million on a decade-long trial called Look AHEAD to test the hypothesis that if obese diabetics lose weight they’ll be healthier for the effort. This is “the largest, most expensive trial ever funded by NIH for obesity outcome research,” says the Baylor University psychologist John Foreyt, who is one of the trial’s principal investigators. But once again, the trial tests only the conventional wisdom. The goal of Look AHEAD is to induce five thousand obese diabetics to lose weight by the same lifestyle modification used in the Diabetes Prevention Program: cutting calories and fat calories, and exercising. If these obese diabetics do lose weight, and if they do end up healthier for it, we still won’t know whether it was the calories, the fat calories, the exercise, some combination of all three, or maybe just the carbohydrates or the sugar that made the difference. And we won’t know whether, if they restricted carbohydrates alone and ate protein and fat to their hearts’ content, they would have been healthier still. Because these trials are planned as a test of only one hypothesis—and a poorly defined hypothesis at that—the research ensures that we won’t have the kind of reliable answers that we so desperately need. If the Diabetes Prevention Program had included a test of the carbohydrate hypothesis, the investigators could have compared the effect of a low-fat, low-calorie diet and exercise to the effect of carbohydrate restriction alone, and that would have told us whether it’s the carbohydrates or the calories and the sedentary behavior that cause these chronic diseases. If Look AHEAD were to include a test of the carbohydrate hypothesis, we might at least know the answer in another decade. It doesn’t, and we won’t. The scientific obligation, as I said in the prologue, is to establish the cause of obesity, diabetes, and the chronic diseases of civilization beyond reasonable doubt. By doing so, we can take the necessary steps to prevent these disorders, rather than trying to cure them or ameliorate them after the fact. If there are competing hypotheses, it does us little good to test one alone. It does little good to continue basing public-health recommendations and dietary advice on association studies (the Framingham Heart Study and the Nurses Health Study are prominent examples) that are incapable of reliably establishing cause and effect. What’s needed now are randomized trials that test the carbohydrate hypothesis as well as the conventional wisdom. Such trials would be expensive. Like the Diabetes Prevention Program and Look AHEAD, they’ll cost tens or hundreds of millions of dollars. And even if such trials are funded, it might be another decade or two before we have reliable answers. But it’s hard to imagine that this controversy will go away if we don’t do them, that we won’t be arguing about the detrimental role of fats and carbohydrates in the diet twenty years from now. The public will certainly not be served by attempts of interest groups and industry to make this controversy go away. If the tide of obesity and diabetes continues to rise around the world, it’s hard to imagine that the cost of such trials, even a dozen or a hundred of them, won’t ultimately be trivial compared with the societal cost. AFTERWORD TO THE ANCHOR EDITIONI had to write Good Calories, Bad Calories to truly understand the intricacies of the subject matter. I had to see it published before I realized what I should have written in the first place, or at least what points could have used more emphasis. Both writing and publication, in other words, are inevitable parts of the learning process; they’re not end points or anything close. One common response to the book, for instance, by book reviewers and by medical authorities, is that the explanation for such a dire public health problem as the ever-rising incidence of obesity and diabetes could not be simple. A simple answer, after all, implies that it should have been known all along; it implies that somewhere along the way our public health authorities had led us astray. A complex answer allows considerable leeway in the assignment of responsibility; it also allows for an indefinite postponement of any action or acknowledgment of error. But the arguments for a simple explanation are themselves simple and perhaps I should have spelled them out more clearly. The first is Occam’s razor. As Isaac Newton phrased it, “We are to admit no more causes of natural things than such as are both true and sufficient to explain their appearances.” If a simple explanation can explain the observations, do not complicate it. This is a requisite for all scientific endeavors; obesity and weight regulation are no exceptions. Until the 197os and the beginning of the obesity epidemic, carbohydrates were widely, if not universally, considered fattening. The dietary cause of obesity, as Brillat Savarin suggested in 1825, appeared to be “the floury and feculent [i.e., starchy] substances which man makes the prime ingredients of his daily nourishment” and this “fecula produces its effects sooner and more surely in conjunction with sugar.” By the 1960s, biochemists and physiologists had elucidated the hormonal and enzymatic regulation of fat tissue, and this research implied that carbohydrate-rich foods should be fattening because these are the foods that drive insulin secretion and insulin drives fat accumulation. By then, however, our health authorities were already suggesting, based on the slimmest of evidence, that the hormonal regulation of fat tissue was irrelevant to a disorder of excess fat accumulation, and that the conventional wisdom of the prior century and a half was simply wrong. By the 1970s, they were officially recommending that we make carbohydrate-rich foods the staple of our diets. The U.S. Department of Agriculture in its Dietary Guidelines for Americans and food guide pyramid, the National Institutes of Health, the Surgeon General, the American Medical Association, the American Heart Association, and even the American Diabetes Association took to promoting starches and bread as the staples of heart-healthy reducing diets. Influential food and health writers like Jane Brody of the New York Times told us to “live the high-carbohydrate way,” the subtitle of Brody’s 1985 bestselling Good Food Book, and here we are, three decades later, fatter than ever before in history.Simultaneously, much of the sugar in our diet was replaced by a sweetener—high fructose corn syrup—that was effectively identical to sugar in its chemical makeup, which also promoted fat accumulation and insulin resistance, but could be perceived and marketed as a healthy alternative. Our consumption of what the USDA calls caloric sweeteners increased by 20 percent, an increase that had no precedence since the early years of the twentieth century. And, here we are, fatter than ever. How complex does the answer have to be to explain why we get fat, and why we’ve waxed so much fatter since the mid- to late-197os? This book challenges viewpoints that are held as firmly as any religious belief, while arguing what seem to be quite obvious and fundamental points. These points are so self-evident that it seems odd that they need to be made so explicit to the nutritional establishment. The first is that obesity is a disorder of excess fat accumulation and so every discussion of its cause and prevention should begin with a discussion of the hormonal regulation of fat tissue. Physicians and medical authorities would never discuss abnormalities of human growth—gigantism, for instance, or dwarfism—without focusing attention on the role of the hormones, growth hormone, in particular, that regulate growth. How can these medical experts discuss the excessive accumulation of fat (or its opposite, anorexia, a deficit in fat accumulation) without focusing attention on the role of those hormones—now insulin, in particular—that regulate fat accumulation? With that physiological fact as a given, any explanation for obesity or the obesity epidemic that looks beyond the influence of carbohydrates on insulin is one that is willfully trying to complicate an explanation when a simple one might suffice. Another variation on the can’t-possibly-be-so-simple argument that I have heard frequently since Good Calories, Bad Calories was first published is the molecular biology theme. Since the discovery of the hormone leptin in 1994, obesity research has become a subdiscipline of molecular biology. As a result, a search of the keyword “obesity” in the National Library of Medicine database will now identify over 100,000 relevant articles in the professional journals (nearly 20,000 review articles alone), a large proportion of which focus on the fruits of molecular biology research and the science of genomics. The suspects now implicated in weight regulation and obesity seem to increase in number weekly. They now include obesity-related gene variations known as polymorphisms, signaling molecules with names like adiponectin, neuropeptide Y, and grhelin, the receptors for those signaling molecules, the inhibitors for those molecules, inhibitors of the inhibitors, and so on. The obvious question is, how can this research be so extraordinarily fruitful, and yet mostly irrelevant to the cause of obesity? It’s hard to imagine that this research is not relevant, and so, as I’ve frequently been told, any discussion of the cause of obesity that doesn’t discuss these molecules, receptors, inhibitors, etc., must be considered amateurish and woefully inadequate. The truth must be complicated. the pain and ensuing inflammation were caused by the hammer and perhaps the person who swung it. Everything else is downstream and may be relevant only to the question of which drugs will best deal with the pain and potentially accelerate the healing process. If carbohydrates and insulin cause us to accumulate excess fat, then they are the hammer. Little else needs to be discussed when the subject is how best to prevent or reverse the fattening process. Certainly not until this simple hypothesis has been rigorously tested and compelling evidence generated to refute it. A scientific point that I now believe I emphasized insufficiently is that the nutrient composition of our diets must play a fundamental role in our energy expenditure—whether we are, in fact, physically active or relatively sedentary. I made this point in the context of Alfred Pennington ‘s thinking about obesity, but I returned to it later only very briefly (indeed, only in a parenthetical aside), when it is without a doubt a critical observation. What makes this particularly relevant is that public health authorities have lately taken to promoting sedentary behavior as a fundamental cause of obesity and all its associated chronic diseases. They do so primarily on the basis that lean people tend to be more physically active than those who fatten easily, and that good health and a physically active lifestyle also go hand in hand. These associations are then assumed (incorrectly, but nonetheless) to imply cause and effect. If relatively sedentary individuals tend to succumb earlier in life to heart disease, diabetes, obesity, and cancer, then it’s assumed that the sedentary behavior is a cause and that physical activity is a means of prevention. This conclusion was counterintuitive on the face of it, implying as it does that “sedentary habits such as watching television” are carcinogenic. Regrettably, reading books or, for that fact, sitting in classrooms are also sedentary behaviors, and we would now have to consider these activities carcinogenic, as well, which could take us places as a culture we don’t want to go. Nonetheless, these were the conclusions. The counterargument is one that avoids this kind of nonsensical conclusion—reading books and watching television can cause cancer—and simplifies the hypothesis of causation even further the same dietary factors that induce obesity and its associated chronic diseases—refined and easily digestible carbohydrates and sugars—also make people relatively sedentary. Physical inactivity, obesity, and cancer, all of which associate together, are all caused by the same thing—the effect of carbohydrate-rich foods and sugars on insulin. This alternative causality, as Pennington originally observed, is a direct implication of the law of energy conservation. Anything that makes us accumulate mass—anything that increases the amount of fat we store in our adipose tissue—will cause compensatory changes in energy intake (hunger or appetite) and energy expenditure. The same goes for anything that decreases energy storage—i.e., that makes us lose fat and weight. By this logic, we don’t get fat because we’re sedentary; we become sedentary because we’re getting fat. And we’re not lean because we’re physically active; rather, we’re physically active because we’re lean and our bodies are predisposed to burn off the calories we consume rather than stash them away in our fat tissue. When we apply this same logic to obesity we get the following scenario: removing carbohydrates from the diet leads to a drop in insulin levels, which causes fatty acids to be liberated from the fat tissue and made available to be used as a fuel supply. Removing the carbohydrates, therefore, removes the internal semistarvation caused by the partitioning of calories into the fat tissue. Now the obese individual would increase his energy expenditure, as Flier and Maratos-Flier might have put it, both by being more active and by speeding up energy use in cells. I only came to realize the importance of this implication when I began to speak about the book after publication, during interviews and in lectures. 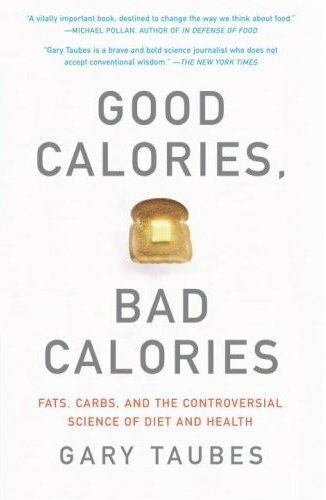 It also led me to realize that there are indeed relatively simple experiments that could establish whether it’s excess calories that make us fat (the conventional wisdom) or purely the effect of carbohydrates on insulin and insulin on fat accumulation (the carbohydrate hypothesis). Such experiments could be done with a dozen subjects in two to three months and so would be inexpensive, at least by the standards of modern medical research. One caveat is that they would require that their human subjects be treated to some extent like laboratory animals. They would be housed in a metabolic ward and fed three or more meals a day. In the ideal situation, the subjects would never leave the ward and be under constant observation—as was the case with Vilhjalmur Stefansson and his colleague Karsten Anderson in the first weeks of their 1928 meat diet experiment—so that the opportunity to cheat on their diets would be minimized. In one variation of the experiment, the subjects would be randomized into two groups. One group, the controls, would be fed a balanced diet, relatively rich in carbohydrates, constituting 3,000 or even 4,000 calories a day. The other would be fed a diet of equal caloric content, but severely carbohydrate restricted—preferably less than sixty grams of carbohydrates a day. The study would have to run for at least two months, long enough to establish a significant amount of fat loss if the carbohydrate hypothesis is correct. The researchers would measure energy expenditure before the experiment began and then at regular intervals throughout the experiment. (A technology known as doubly-labeled water would allow this to be done to within io percent accuracy.) Insulin levels would also be measured regularly, as would any other blood biomarkers or risk factors for heart disease that the researchers might choose (and be able to afford). Body composition, before and after the experiment, should be analyzed as well to establish the proportion of lean and fat tissue lost (if any). Such an experiment would go a long way toward determining the validity of the two competing hypotheses: is it the quantity of calories that determines our weight and fat accumulation or the quality? I would argue, as I’ve been doing widely since the book came out, that such an experiment is absolutely fundamental to understanding the cause not only of obesity, but of heart disease, cancer, and diabetes, as well. Finally, one common response to both my book and my lecture is that these hypotheses are interesting, maybe even compelling, but there’s simply insufficient evidence to believe them unequivocally. As New York Times health reporter, Gina Kolata, concluded in her review, “I’m sorry, I’m not convinced.” This attitude is then perceived as sufficient reason to return to the business at hand: telling the obese and overweight, and, in fact, everyone else in the population, to eat less and exercise more. When I wrote Good Calories, Bad Calories, I did not set out to convince skeptics that the carbohydrate hypothesis was true. Such a task would be impossible to accomplish, in any case. I set out to document the evidence suggesting that the hypothesis was worthy of serious and critical attention, to follow the evidence without allowing my preconceptions to bias my interpretation. My hope then was and still is that medical researchers, public health authorities, physicians, nutritionists, and even health reporters, confronted, as they are, with unprecedented levels of obesity and diabetes in the population, will perceive Good Calories, Bad Calories not as a threat to their ideals (or their ability) and so something to be ignored or rejected out of hand, but instead as a valuable contribution to their work, one that will better guide their efforts to improve our health. * Because even the balanced diet might represent an improvement in the quality of the carbohydrates in the subjects’ diet—calories from sugar, white bread, white rice, and beer, for instance, might be replaced by calories from whole grains and green vegetables—there is always the possibility that even the control group in such a study will lose some weight, even if the amount of calories consumed has no effect. I wouldn’t be that optimistic. It seems to me that the corruption in the medical science is too far gone. It is up to us to inform ourselves and realize why and when it all went so wrong in order recover our health and our sanity.